UHT milk is obtained from raw milk standardized to a fixed fat then treated a sterilization process and aseptic packaging. White to light cream colour, typical milk without foreign taste and odor. Dairy foods, desserts, bakery, confectionery, ice-cream, milk drinks and other preferred use in food industry. 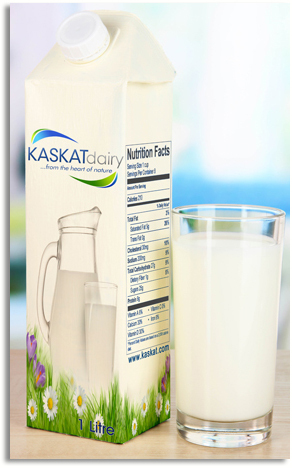 Natural flavor and taste, the great source of calcium and proteins, easy to mix with other products. Product must be stored in dry and cool place at the temperature of 25 C , product has shelf life between 9 to 12 months in the original packaging. UHT are packed in cartons which made of multilayer laminated of aluminum foil. Packaging in accordance with the regulation of (EU) 1935/2004. Available in: 200ml – 250 ml – 500 ml – 1,0 L – 1,5 L.